Which veggie is the first of the season to poke its delicious green crown up out of springs thaw dampened earth and give us our first bite of spring flavor? It’s the aristocrat of vegetables, asparagus! This early vegetable is in season now and the flavor is fresh and pleasing. Pick it up at the grocery store or at your local farmers market. Asparagus and Kitchen Charm cookware are a perfect marriage. This vegetable is 93% water. Who knew? March through June is peak season for this vegetable. This time of year when there’s an abundance of fresh asparagus reward yourself often; the flavor and benefits make it worthy of eating it every day. There’s nothing like fresh vegetables in season. Asparagus is a member of the lily family and its close relatives are onions and garlic. 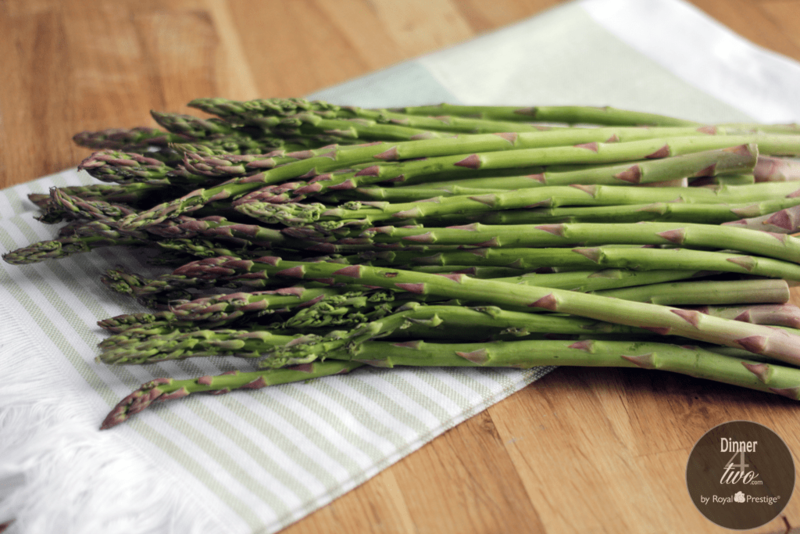 This king of veggies is loaded with antioxidants; it’s a natural diuretic and packed with vitamin C.
When it comes to cooking asparagus it doesn’t get any easier; especially when you use your Kitchen Charm cookware…rinse and snap off about 30% of the ends of the stalks. In the Kitchen Charm 2 quart sauce pan add 3 tablespoons of water. Turn heat to medium high, put lid on with Redi Temp valve open. When it whistles turn heat down to low and close the Redi Temp valve. Cook for an additional 2-3 minutes. Remove the pan from the heat. Place asparagus on a serving platter and sprinkle with coarse kosher salt, a few grinds of fresh black pepper and shaved Parmesan cheese. For the next few months make asparagus one of your go to vegetables. Bon Appetite. 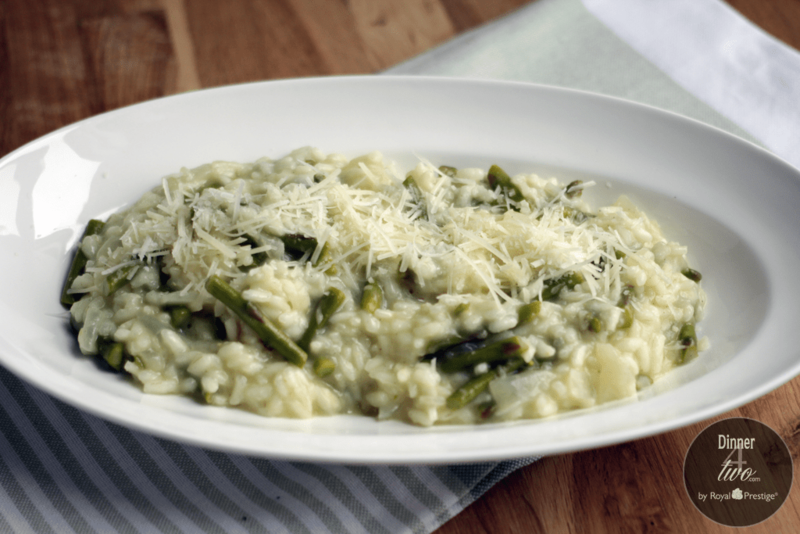 We wanted to temp you to take asparagus to the next level with our asparagus risotto…it’s one big pot of savory deliciousness! Prepare your asparagus by washing and snapping off the ends, then cut into ½” pieces on the diagonal. 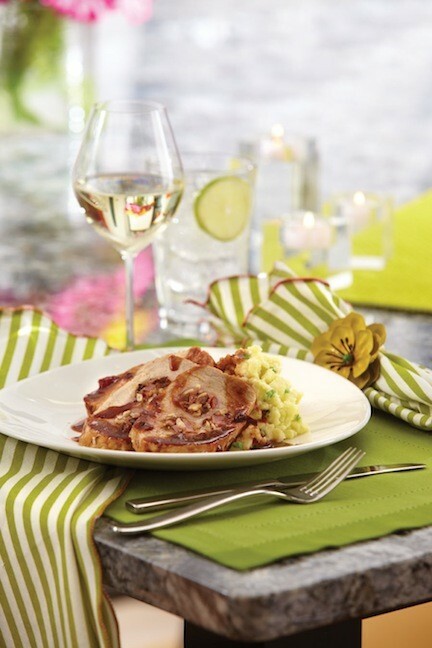 In the 10.5” kitchen Charm skillet melt 2 tablespoons of butter over medium heat and add the diced onion. Cook until the onion is translucent about 10-12 minutes. In a 2 quart Kitchen Charm sauce pan heat the chicken broth until it boils. Turn heat to low or turn off. You want the broth to be warm to add to your risotto. Once the onion is cooked add the rice to the skillet and stir; cook until the rice is translucent but not browned, about 3-4 minutes. Add 1 cup of warm chicken broth, stir occasionally and once it is mostly absorbed add another 1/2-3/4 cup of broth. After you’ve added about 2 cups of broth toss in the asparagus. Continue to do this until all the chicken broth is absorbed. It should take about 30-40 minutes. Stir often and never let the rice dry out. Once all the broth has been added stir in the last tablespoon of butter and parmesan. Turn off heat and serve warm.